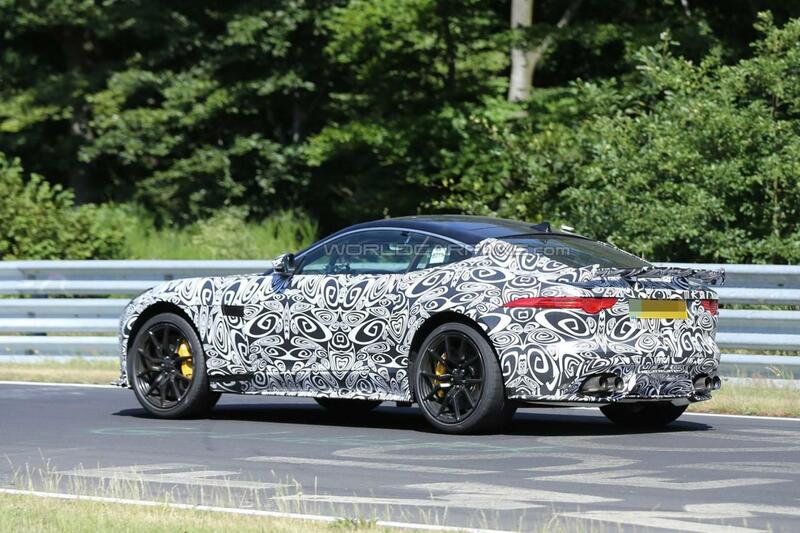 Jaguar F-Type SVR has finally been spotted while testing. The superb vehicle has been observed wearing the production body. Everything has been caught on camera for car lovers to watch and enjoy the super fesh news. 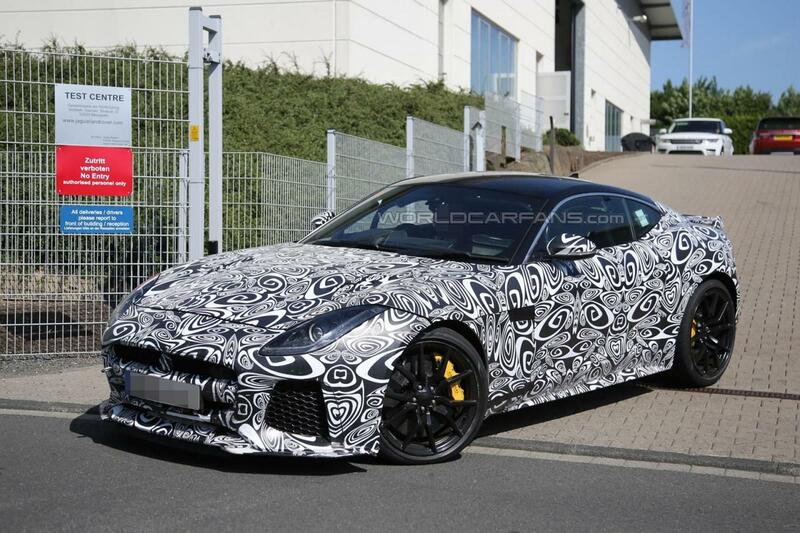 As you may know by now the SVR is expected to be the most powerfull Jaguar F-Type ever. And underhood arsenal sounds promising as the car will pack no less than 600 bhp (447 kW) basically being faster than the the limited-run Project 7. The Jaguar might come with a supercharged V8 5.0-liter engine. And since we know that looks matter the super Jaguar F-Type SVR brings forth a more aggressive body with a rear wing and a prominent rear diffuser. List of features that make the Jaguar F-Type SVR special counts the front bumper, slightly lower ride height, larger carbon ceramic brakesand side mirrors made from carbon fiber. A convertible version of the Jaguar F-Type SVR will be available soon and as known by now the The F-Type SVR Coupe & Convertible will be launched March 2016 at the Geneva Motor Show. 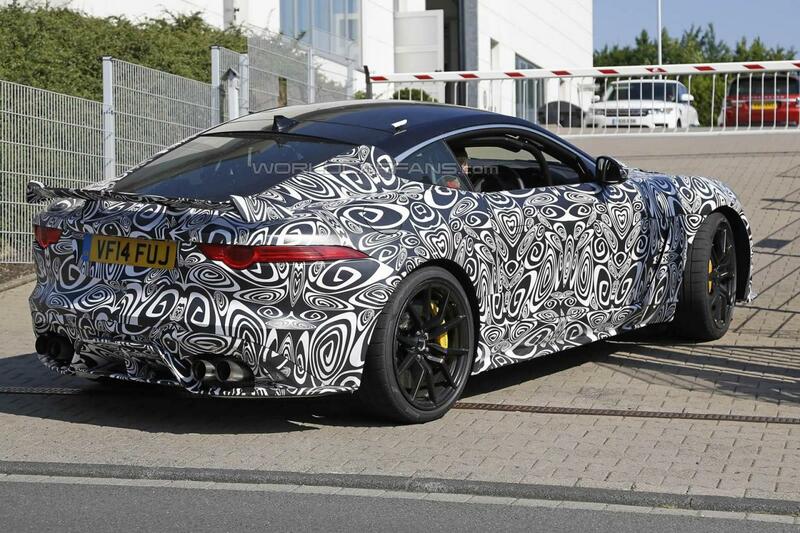 This entry was posted in Jaguar, Spy Photos and tagged F-Type SVR, Jaguar, Jaguar F-Type SVR, spied. Bookmark the permalink.